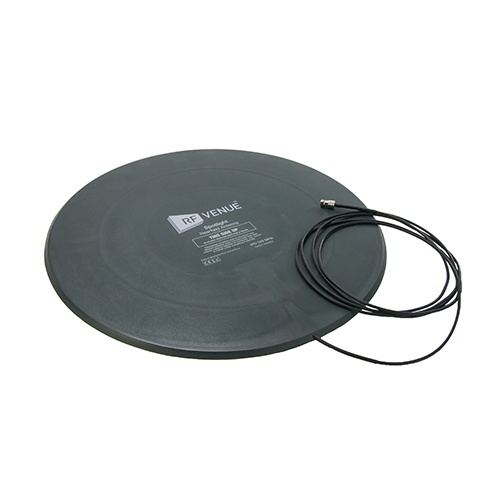 The RF Spotlight™ antenna is a low profile floor pad antenna that enables wireless mics to function reliably in the most crowded RF environments. Perfect on stages, in hotel breakout rooms, at conventions, or church sanctuaries, the RF Spotlight is effective where multiple wireless systems must inter-operate across facilities and open channels are limited. 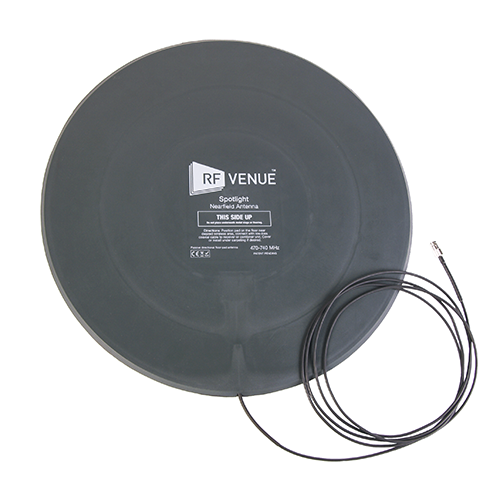 Its elliptically polarized element is molded into a durable 7mm thin PVC disc with a 10’ 50 lb tensile strength rated cabled connector lead. Operating range is determined by several factors including transmitter power, coaxial cable type and length, and nearby obstructions. Typical range at 10 mW is a diameter of 100’ and several hundred feet at 30 mW. What application is the spotlight designed for? The Spotlight is designed to improve the performance of wireless microphones operating in crowded RF conditions, like trade shows, or to isolate nearby wireless audio systems from one another (like adjacent breakout rooms in hotels and churches), as well as created distributed antenna systems (DAS). How many Spotlights are needed per receiver? Only one spotlight is needed per receiver or distributor, though two may be used. What do I do with the other diversity input? We recommend you leave one of the stock dipole/whips attached. Can I mount the spotlight on the ceiling for permanent installation? Sure. 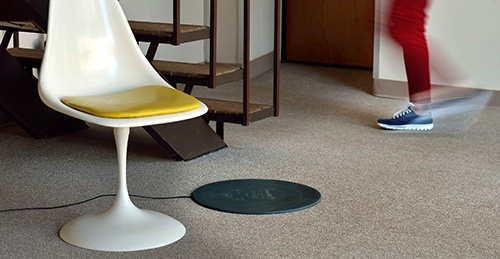 But we’ve saved you the trouble and ported the RF Spotlight into a drop-ceiling tile form factor, which we call the CX-22. What is the range of the RF Spotlight? Under crowded to extremely crowded RF conditions and a transmitter power of 10mW, the Spotlight will produce a coverage circle with a radius of 50-60 feet. Note that this is much larger than the typical stage or performance area (We’re talking about the RADIUS). If the performer wanders out of the coverage area, the signal usually hops back onto the dipole antenna that remains on the other antenna input back at the receiver.The range of the Spotlight is determined by the microphone’s transmitter power and the noise floor and strength of competing signals in the area. The higher the transmitter power, the farther the range. The Spotlight is designed to allow antenna placement as close to the performer as possible to maximize signal-to-noise ratio. The Spotlight’s benefits will be most obvious when the antenna is located close to the performer.